Here is a super pony who is currently competing in shows and is performing very well in ridden classes and he is now starting this seasons working hunters. To date he has won numerous prizes, ridden, working hunter and in hand classes,3rd in Clifden ridden class 2005. He is an extremely honest jumper and shows great scope and promise. 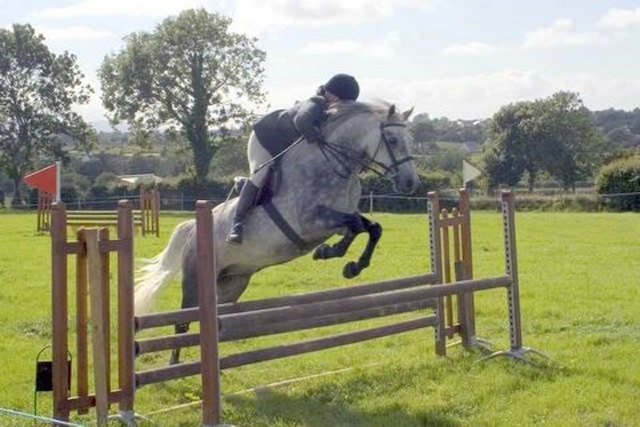 To date he has qualified for the All Ireland Gelding ridden class in Westport, International performance ridden and working hunter classes in Oughterard. He is a pony that has great stable manners and requires a loving home.